Whenever asked about love, the first and foremost thought which comes to mind is of your crush or beloved. Then if some emotional strings are shaken you get the reminiscence of your mother and her sacrifices. But you usually miss out the best friend of your life, the one who gave you the tik-tik ghoda ride and the one who was always been there by your side but not necessarily in limelight, your father. Whenever your inner soul got thwarted, he like the soul charmer sensed it and did everything to appease you. Alike superhero, he made everything fall on the right track in your life. He was the one, who penned the first page of your travel diary, yes, the first scooter ride standing in front or those to the amusement park, then when he partnered you in your trembling cycle trips and the journey continued. So, this father’s day, it’s time that you discover a traveller in your father and relive those memoirs again. When was the last time when you went out with your father? Stuck within the cobwebs of day to day life we forget to give the most precious gift, that is our time. Rekindling the memories of past, I realise our fathers have done their part awesomely. It is time you both cherish those moments yet again with a journey which can be a shimmering flashback in future. Now the point comes where can you take your parents this Father’s day. I have been pondering on this thought and I feel following can be the destinations where you can rejoice the charm. For the one who has given you all the luxuries of life how amazing would it be to give him a gift of luxury and royalty on Father’s Day. Living like the King and Queen may look like the flight of fancy but each one of us has this fantasy deep within. So why not, take your family back in time and experience the royalty by booking tickets on the luxury trains of India, viz. 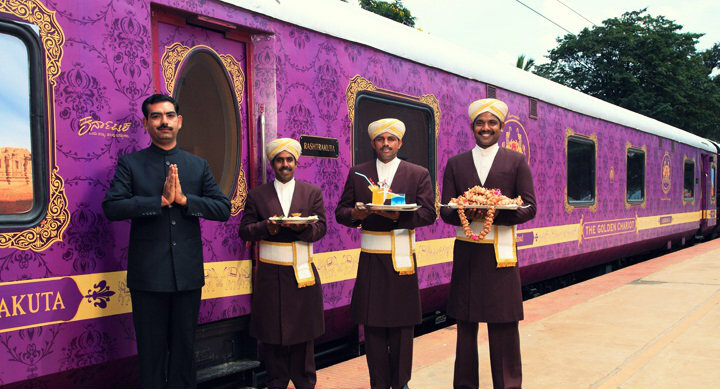 Palace on Wheels, Maharajas’ Express, The Deccan Odyssey, Royal Rajasthan on Wheels, Golden Chariot and Royal Orient Train. The majestic ambience, the intricate culinary and divine experience of travelling in a royal abode is just unmatchable. You may find the journey heavy on your pocket but a five-star hotel on wheels with an opportunity to intrigue the cultural heritage of our country seems totally worth it. Not only you will discover a traveller in your father but also empower the sovereign of your family with grandiose. “Beta roz pooja kiya kar!” One complaint which is omnipresent in all the homes is about the time you give to the supreme deities which your parents worship. But this Father’s Day let us change the way our parents think and take them to a spiritual tour. What better than a Char Dham Yatra, a tour which every Hindu yearns for. It is the best time to visit the holy shrines as temple doors open at the start of May. Thus, for your parents, you can be the ladder for attaining salvation. I may be sounding like “Shravan Kumar” but this is what our parents want from us! Coming back, this voyage will be exceptional in all ways, firstly, your father will again have so many holy stories to share and enrich you. Secondly, the ethereal snowy landscape will colour your family with memories which will be etched in your mind for life. Thirdly, the rough trail will ornament more pride in the duo who brought you to this beautiful world. Lastly, if you thought those travelling genes are unique to you then, mind it, you are going to discover a traveller in your father. But don’t think Char Dhaam as the only pilgrimage option. India is a divine land and you may take your parents to Brijbhoomi, Haridwar, Rishikesh, Vaishno Devi, Konark Sun Temple, Jagannath Puri Temple or any other religious place which you think your parents are more attached. Beaches have some mystic magic which distresses everyone inimitably. The waves which most of the times are tranquil and soothing also gives a tough fight at times just like your father. On this Father’s day let us discuss the bygone times relishing all the tales which you have by far blossomed lounging on the beach. When we talk of beaches Kerala seems to be the best place altogether. 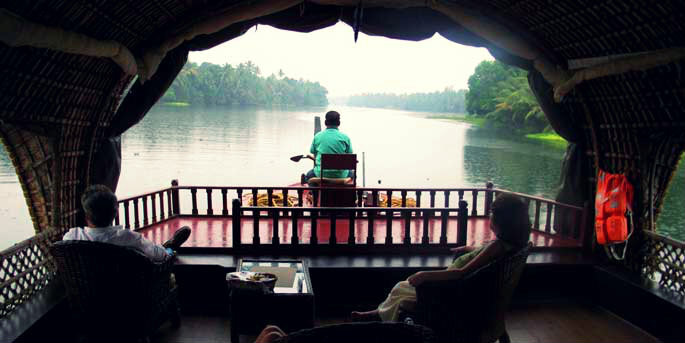 With Ayurvedic massages which are abundant here on the beaches, the authentic South Indian food, houseboat ride on backwater and the party spirit can be the best gift to your parents. It is here you would know that your father is not that old and age is just the number. It is strange but you may have a similar feeling which your parents felt when they watched you laughing and smiling. You must have been travelling length and breadth across the globe but when you see the world through his eyes you will soon realise that the father’s day has turned out to be your day. While there are infinite trips you can make with your parents these are just suggestions to kick start your journey. Do tell me how you felt to discover a traveller in your father. Nicely framed!! Simple and straight! Thumb’s up always!